I decided the time was right to sit down and come up with a list of my all time favorite films, and I feel great about it now that it is complete. These aren't merely films that I love, these are works that for one reason or another I truly feel a special connection with. Some of these films I have seen literally over 100 times, and others only once. Hell, one film listed was only released roughly one month ago. No matter what the circumstances or the amount of time a movie has resonated with me, whether it was a childhood favorite or an unforgettable experience from the last few years, all of these belong. I will post these in groups of ten, starting with the bottom of the list. Here are my #100 through #91 favorite films of all time. Director Richard Linklater may very well be on the verge of winning an Oscar in a few months for his astonishing masterpiece Boyhood, and he is probably best known for his iconic coming of age comedy Dazed and Confused, but back in 1995 the film Before Sunrise was released, a film about romance unlike anything I have ever seen before. It's simplicity and chemistry between the two leads, Ethan Hawke and Julie Delpy, resulted in something truly beautiful, and it turned out to be the start of an unbelievable unique and brilliant trilogy. After witnessing the film There Will Be Blood (which will surprisingly not appear on this list, because it is a great achievement), I made a connection and I announced it to a few others familiar with the work of Paul Thomas Anderson: he is the modern day Stanley Kubrick. That isn't to say he is on a Kubrick level yet, he isn't, and the fact that I believe this will is pretty obvious since this is the only Anderson film in my top 100 where as Kubrick will be covered a whole lot, but PTA is quite possibly the only auteur out there today that has the audacity to be willing to work in basically any genre and always release something masterful. 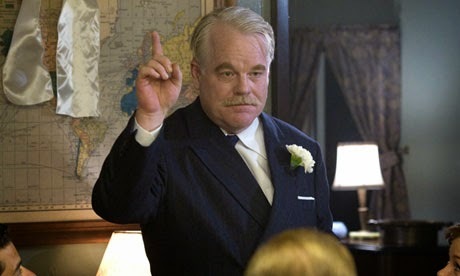 The Master is a bold, brilliantly crafted film featuring a couple of inspired performances from Joaquin Phoenix and the late great Philip Seymour Hoffman. Not everyone will connect with this one, as it has proved to be quite polarizing, but it absolutely worked wonders for me. When science fiction is done right, it will find a way into my heart, plain and simple. 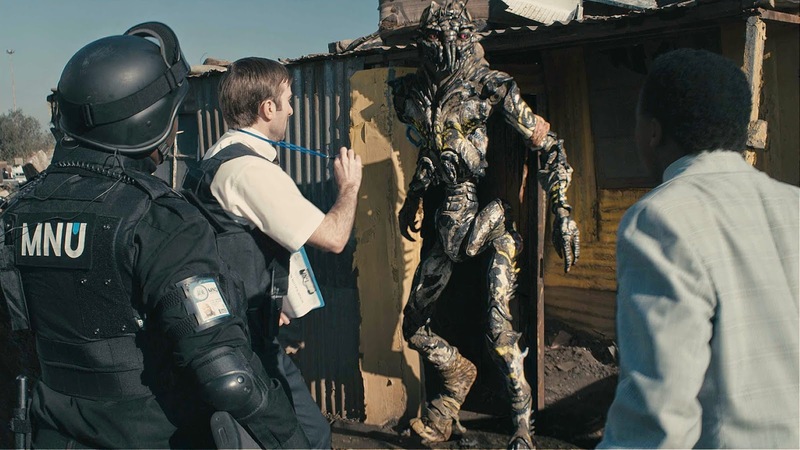 The debut feature from director Neill Blomkamp, District 9 is extraordinary, on the surface a fascinating film about extraterrestrial refugees forced to live in squalor in South Africa, but bubbling beneath is a political subtext that carries with it a real message. It's confident, it's exciting, its brash, and it's a hell of a ride. 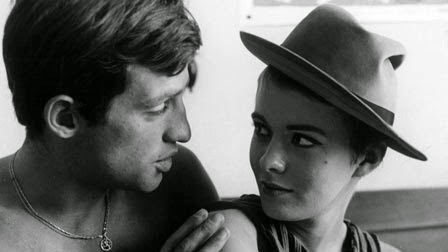 One of the earliest and most influential films of the French New Wave, Breathless is a film that I can search all day for the right adjective to describe it, but in the end the best fit is simply...cool. It is so damn cool. Directed by the legendary Jean-Luc Godard, the film tells the story of a criminal named Michel who is on the run from the law after shooting a police officer. He tracks down his girlfriend Patricia in hopes of acquiring money, a place to lay low for a bit and to see if she will leave Paris behind for Italy. Considered to be one of the greatest works of cinema and rightfully so, I can't get enough of Breathless. Heist films don't get much better than this. In fact in my world, they don't get better than this. Written, produced and directed by Michael Mann, Heat features an all star cast of Al Pacino, Robert De Niro, Tom Sizemore, Jon Voight, Val Kilmer and Ashley Judd, and it is a film that perfectly balances scenes of intense action with all sorts of character development and smart writing. Watching these amazing performers work with material that is worthy of their talents is a thing to behold. Directed by Michel Gondry working with a screenplay by the brilliant Charlie Kaufman, Eternal Sunshine of the Spotless Mind is the perfect example of taking a fresh and interesting idea and executing it to perfection. The film focuses on a relationship gone wrong between a man named Joel (Jim Carrey) and a woman named Clementine (Kate Winslet), and it uses a science fiction twist involving new technology that allows people to undergo a procedure to have someone erased from their memories. As they lose those once treasured memories you can't help but wonder...are even the bad memories of someone you once loved worth losing? Would you really want to forget someone forever? A powerful and uniquely quirky film. The Best Picture winner in 2000, director Sam Mendes and screenwriter Alan Ball showcase a twisted and memorable look at suburbia with a focus on one specific family, the Burnhams. The lead role is played by Kevin Spacey as Lester, and my goodness what a brilliant performance it is. Great yet flawed characters, a smart script and all sorts of sequences that emotionally resonate with me, American Beauty is a film that I find impossible to shake no matter how long I go between revisits. No, that isn't a typo. 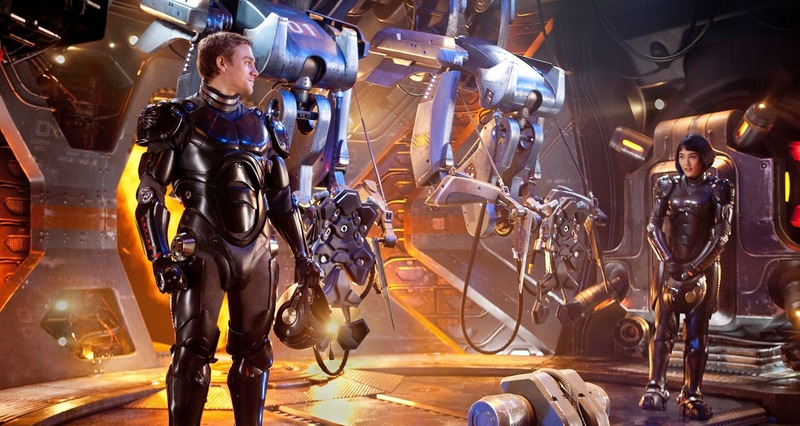 Pacific Rim finds its way into a list of my favorite films of all time, and it absolutely belongs here. In fact, I am a tad bothered it isn't a little higher up on the list the more I think about it, but I will leave it be for now. See, while some watch this film and see silly characters and nothing more than a giant robots fighting giant monsters movie, I had actual tears in my eyes while I marveled at this beast on the biggest IMAX screen. The tears weren't extracted due to story beats taking place on screen, no, they found their way to the surface because for those two hours, I was a kid again. I didn't care if the acting was perfect, I didn't care about thematic relevance, and I don't care now if it seems odd that a film of this nature would be lumped in with some of the classics also listed. While I watch Pacific Rim, I remember what it was like to just let my guard down, sit back and enjoy a thrilling ride with the biggest smile on my face. Guillermo del Toro accomplished what he set out to do as he brought his dream kaiju project to the big screen, and I totally love it for exactly what it is. I am certain that this is the winner of the longest title on the list award, this was my introduction to the vision of Andrew Dominik, although that isn't exactly surprising given the limited nature of his filmography. The Assassination of Jesse James by the Coward Robert Ford is a perfectly crafted western drama, and the stars of the film for me were not the obvious choices of Brad Pitt and Casey Affleck. No, I fell head over heels for this film thanks to the strikingly beautiful photography by the amazing Roger Deakins and the haunting score by Nick Cave and Warren Ellis. Sounds silly for a film to make my all time favorites list when the reason I love it is the cinematography and the score, I know, but trust me. The work done here in these departments is remarkable. Predator isn't just some cool action film from my childhood that can be lumped in with others. 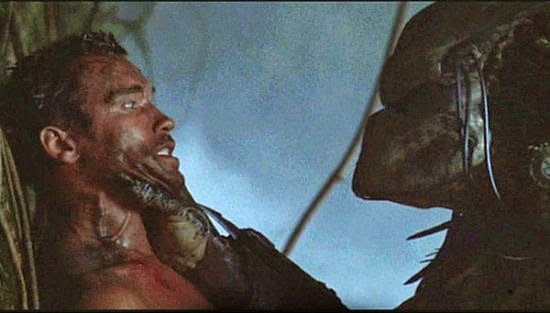 Predator is THE action film from my childhood, and I learned with my revisit recently that it is still just as great today. The pacing is electric, the tension is built perfectly and the silly over-the-top performances are necessary for the material. Some of the imagery in this film is unforgettable and the same goes for some of the hysterically quotable dialogue. Perhaps this wouldn't work quite as well for me if I had seen it for the first time as an adult, but I will never be able to prove that out because the fact is, I practically watched Predator on repeat when I was probably too young to do so and because of that I hold it in high regard. In the near future I will continue on my list with numbers 90-81, and the image above is from a film that will appear. Any films listed you also love? Any choices you find to be ridiculous? Let me know, I will appreciate the feedback regardless. Eternal Sunshine and Before Sunrise would be in my top 20 (maybe even top 10). I saw Eternal Sunshine when I was dating my wife and thought how sad it would be if I never even knew her. Before Sunrise made me wish I bought a Eurorail ticket for a semester and bummed around Europe. I agree. Both of these would make Top 20 for me as well. Great thoughts Nathan, glad you connected with those so deeply. While Before Sunrise is the "worst" of the trilogy for me as you will see on the list, it's not exactly an insult to it. I just found the films matured along with the characters, but all three are amazing. Sad is the perfect word for Eternal Sunshine...the only way you can be sure that the film worked for you is if it makes you a bit sad. What a heartbreaking concept. Do it Dave Doo! An excellent choice!